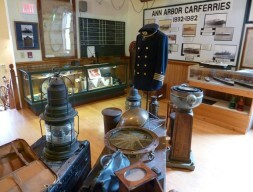 Exhibits on the logging era. agriculture, one-room schoolhouses and more, housed in an 1887-built church. Benzonia. 231-882-5539, www.bahmuseum.org.